In a world that is always rushing, ways to save time are on every mind. 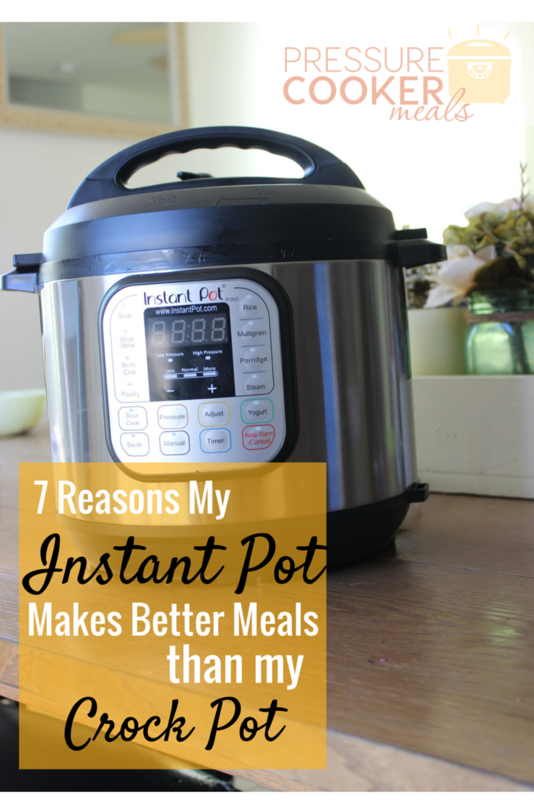 Using your Instant Pot for meal planning is just another amazing option this product gives you. Meal planning has always been a favorite way for me to save time and money in our busy lives, so combining both the ease of the Instant Pot and the effectiveness of meal planning is a given. So here are 4 Tips For Using Your Instant Pot For Meal Planning. 1. 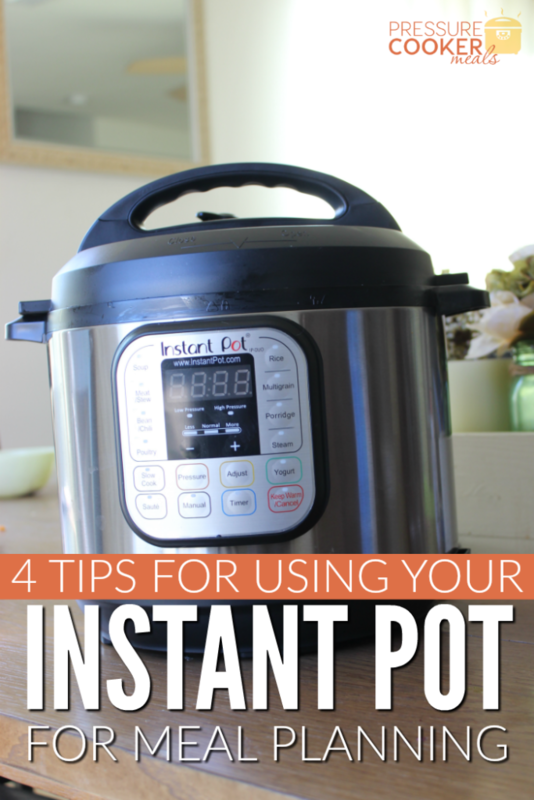 Learn how to use your Instant Pot first. One thing I have to say is that an Instant Pot has a little bit of a learning curve. It is easy to use, and the instructions and recipes that come with it upon purchase take the guess work out of using it regularly. However, it isn’t something you want to just jump into with meal planning without a few trial runs first. Practice a few basic recipes before you really begin your meal planning. For me, meal planning is about things being easy to assemble and know in advance what I need to shop for. So, if I am uncertain about cook times, amounts of liquid, or if a dish will also need to be browned in the oven, I don’t really feel like the meal plan is helpful. That’s why you need to do some practice before you put it into full time meal planning use. Start with your family favorites and learn how to properly make them using the Instant Pot. While many favorite recipes will be identical, there are others that are slightly different in the amount of liquid needed to properly cook in this pressure system. 2. Utilize your Instant Pot for batch cooking. Many people have adapted a method of batch preparing foods to have on hand for easy meal preparation throughout the week. Things like cooked rice, potatoes, beans, and proteins of all kinds can be portioned and frozen in advance. Then you simply pull out a container (or two if needed) of what you will use in your recipe, thaw and mix things together. This method of using your Instant Pot is a great tip for those who prefer a bigger variety of meals throughout the month, but still want to cut back on time in the kitchen. They might decide last minute that they want to make a hamburger or sausage pizza. Having the meat already cooked and portioned cuts cooking time in half. All you have to do is pull it from the freezer, defrost, and top your pizza. The same goes for things like making tacos, spaghetti, chicken salad, and other various casseroles. For someone who has always been afraid of batch cooking because of the time involved, an Instant Pot makes it 100% easier to manage. You can easily cook large batches of pot roast, chicken, hamburger, pork chops, beans, and rice in under 30 minutes each. This results in less time in the kitchen, and tons of meals on hand for your family. 3. Prep ingredients ahead. If you are a fan of freezer meals that allow you to dump the ingredients from a freezer container or freezer storage bag into a slow cooker, you can use the same methods for your Instant Pot! While you may need to adjust the amount of water you use in some of these recipes, you’ll be able to throw them together and add to your freezer for easy “dump” meals that will save tons of time. 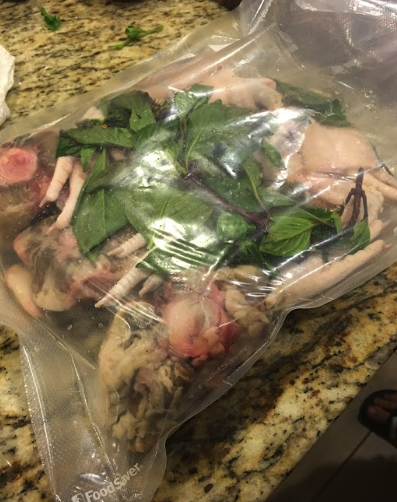 One huge bonus about doing this and using your Instant Pot is the fact that you don’t have to worry about thawing that package overnight like you would if using a slow cooker method. Instead, you just toss the ingredients, still frozen, into your Instant Pot and cook according to directions. 4. Use the accessories. Buying an Instant Pot doesn’t mean you just get a pressure cooking device. It also means you have a yogurt maker, vegetable steamer, rice cooker, and large stockpot. There are so many different uses for your Instant Pot, and even more accessories to use that will offer you more options for meals. Instead of sticking with the basics, take the time to experiment with your accessories. They can not only make your Instant Pot even more useful, but they can save you time and money. These tips for using your Instant Pot for meal planning are going to make it even easier to manage staying inside your budget each month. They will also make cooking for your family something you enjoy doing, instead of dread. 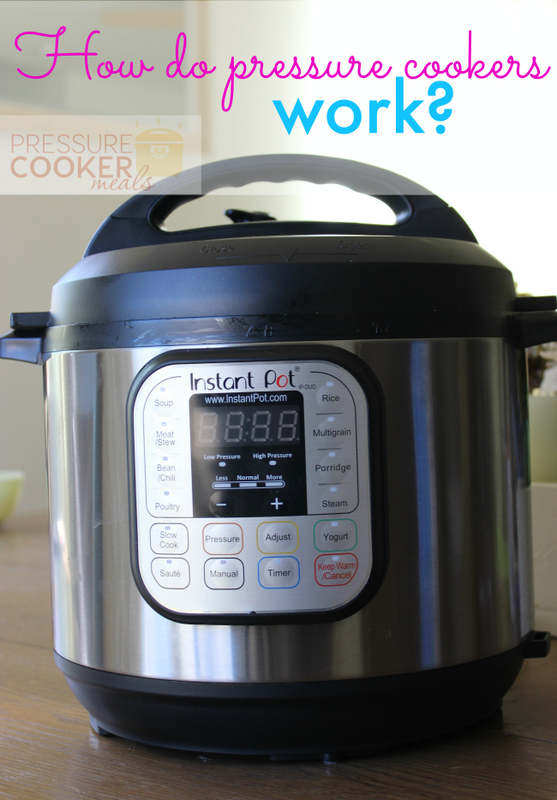 Do you use your pressure cooker to meal plan? Share your tips in the Pressure Cooker Meals Facebook Group. How Do Pressure Cookers Work?